Accessibility Services, Inc. (ASI) announced today that it is among 50 statewide companies selected from more than 500 nominees for Florida Companies to Watch℠, a statewide program managed by economic development group GrowFL, in association with the Edward Lowe Foundation. ASI joins an esteemed group of honorees who will be recognized with this prestigious award on Thursday, November 5th at the Hard Rock Live in Orlando, Florida. Thompson took the helm of ASI in 2009 when her husband and ASI founder, Fred Thompson, retired. Thompson made the decision to lead her company down an ambitious path toward becoming the leading provider of environmental control units (ECU’s) in the country. Her substantial investment in research and development paid off as the $800,000 company grew to become the $7,000,000 enterprise it is today. According to GrowFL, ASI’s management team, competitive market position and strong community involvement were among several factors that put them in contention for the award. 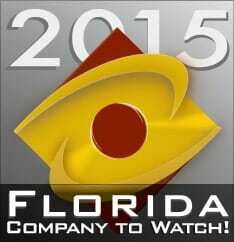 For more information about Florida Companies to Watch, visit flctw.growfl.com.